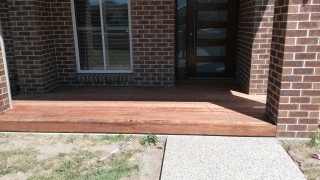 Merbau is a popular and affordable timber choice for homeowners wanting an attractive and hardwearing deck. 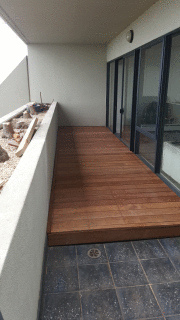 This Merbau Decking was built on a balcony in St Kilda. 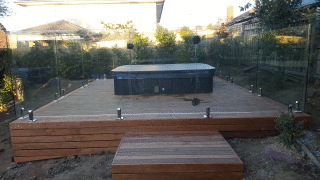 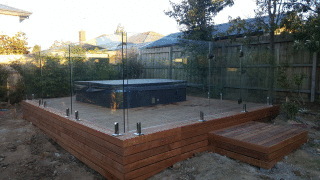 This Decking was built around a spa and in sections that are removable for maintenance to spa. 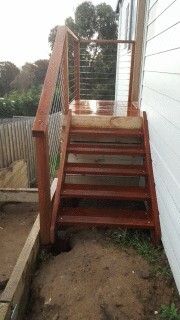 This Merbau Decking has a Merbau Staircase with Merbau Handrail and stainless steel tension wire infills. 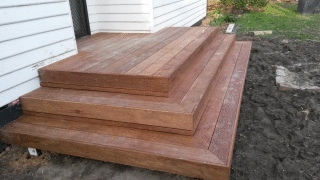 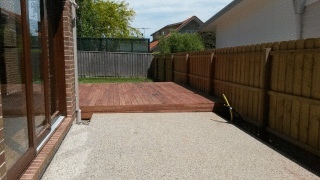 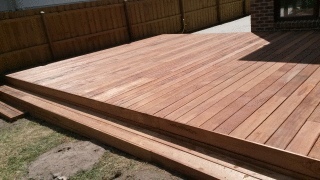 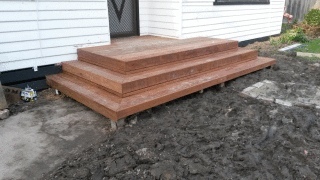 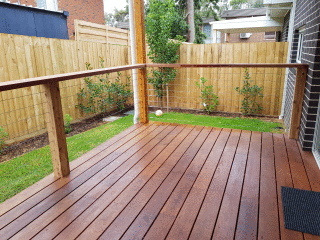 This Merbau Decking was Built in Bellfield. 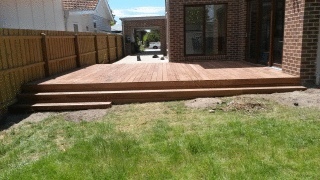 Our client was after a Decking that blended in with thier Brick home. 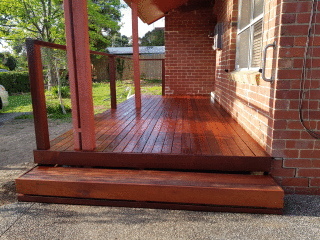 This photo was done after a fresh coat of oil which is always the best option for your Deck.